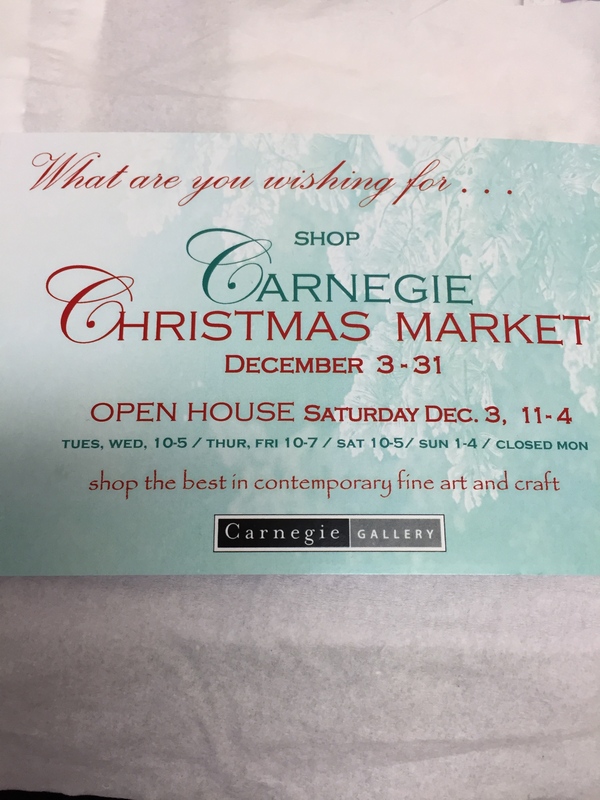 Carnegie Gallery Christmas Market……Until December 31st! My work and that of many talented artists and artisans is featured at the Carnegie Gallery Christmas Market in Dundas, Ontario. One stop shopping! Enjoy coffee and lunch at local restaurants. 10 King St. West Dundas, Ontario. Enjoy free parking in all the local lots during December. 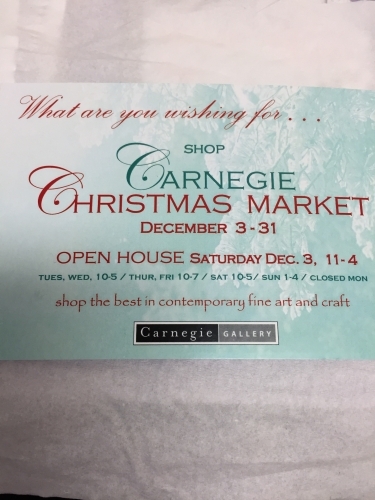 Carnegie Gallery Christmas Market……until December 31st.